November is filled with fabulous events, and the must attend list kicks off tonight with "The Big Give" at The Berkeley Church event space on Queen Street East. There are some terrific people involved, and the event is a fundraiser to support Look Good Feel Better foundation helping people dealing with the physical and emotional effects of cancer. 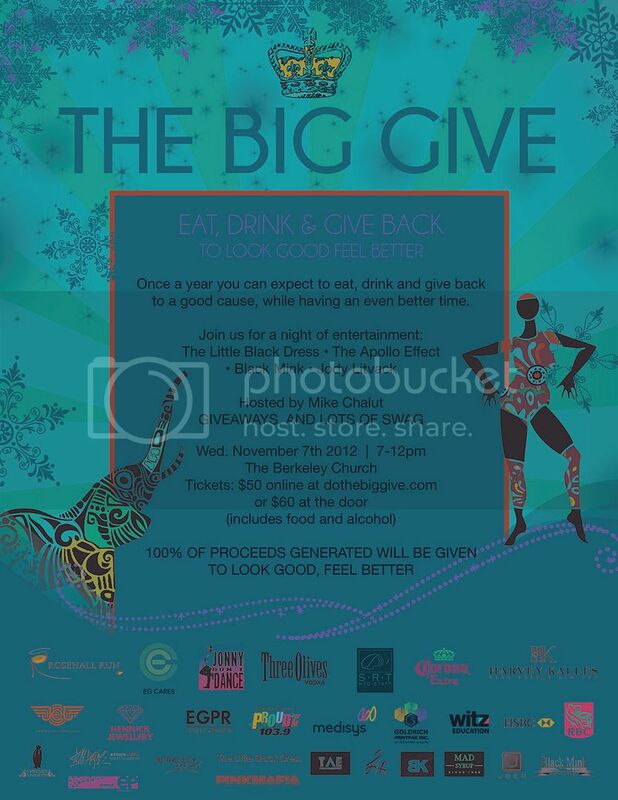 Elizabeth Grant Skin Care is the main sponsor of "The Big Give", and tickets for this event are very reasonable ($50 in advance, and $60 at the door) considering there is an open-bar and "over-flowing" swag bags! The event on Wednesday, November 7th, kicks off at 7 pm, and the address of The Berkeley Church is 315 Queen Street East, Toronto. 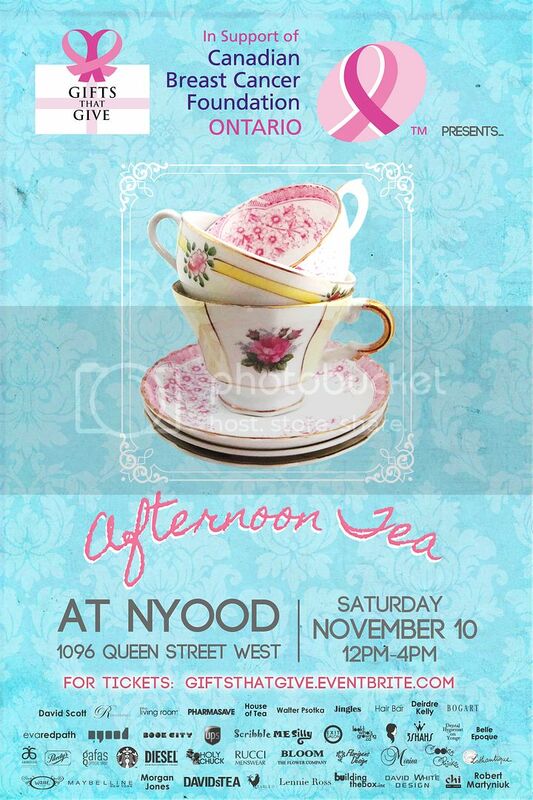 Event #2 of this weeks must attend social schedule is an afternoon tea party at Nyood Restaurant on Queen Street West on Saturday, November 10th from noon - 4 pm. This event also is to support a cancer charity - The Canadian Breast Cancer Foundation. Co-hosting the event is the lovely and fun Jacqui Skeete, star of the television show Cosmo TV, and also well-known local jewelry designer Shah Emily Noaman. For details, check out the event invitation above!